It has been a long time since I have been so proud of my team. 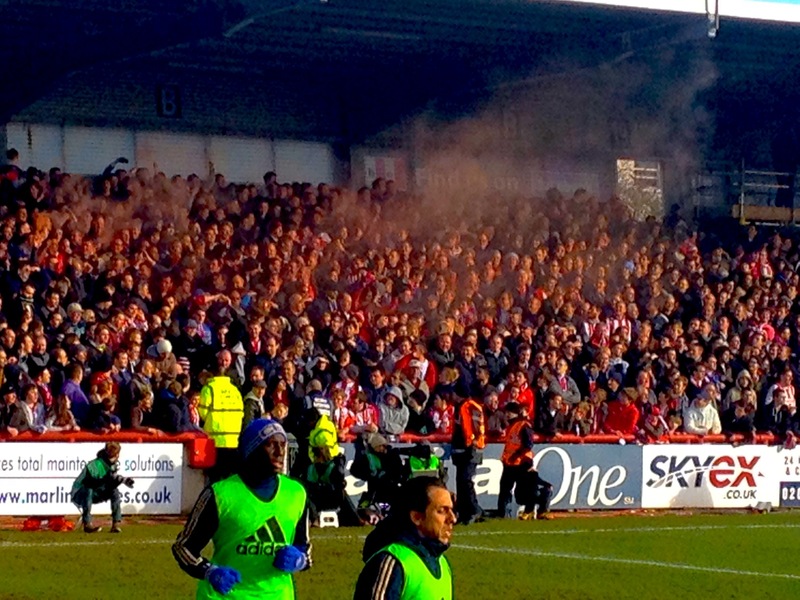 For those not familiar, Brentford are a small West London team averaging crowds of around 6,000. Chelsea are the current European champions. In the 4th round of the FA Cup today they drew 2-2. A great day was had by all. 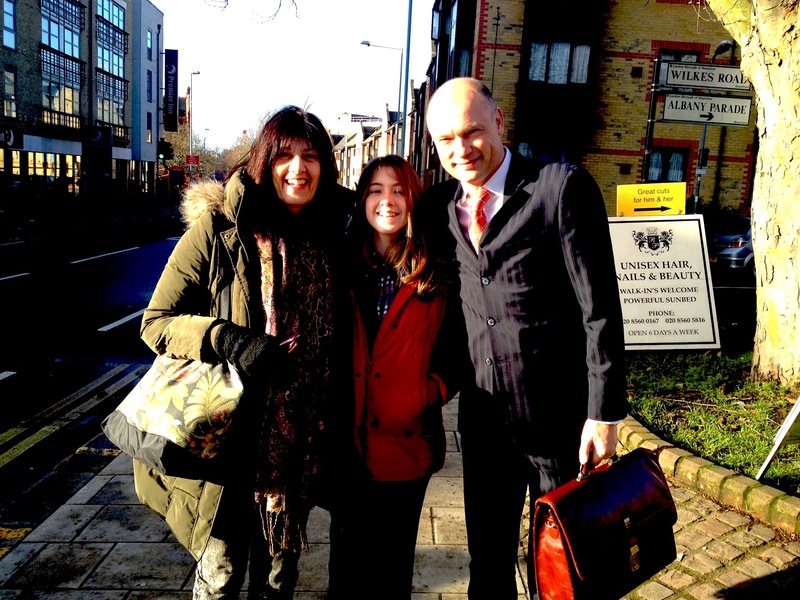 It all started well by us meeting the Brentford manager Uwe Rosler on the way to the ground and he was kind enough to pose with my family for a photo. A good MCDonalds breakfast, and a great game of football in a packed stadium. 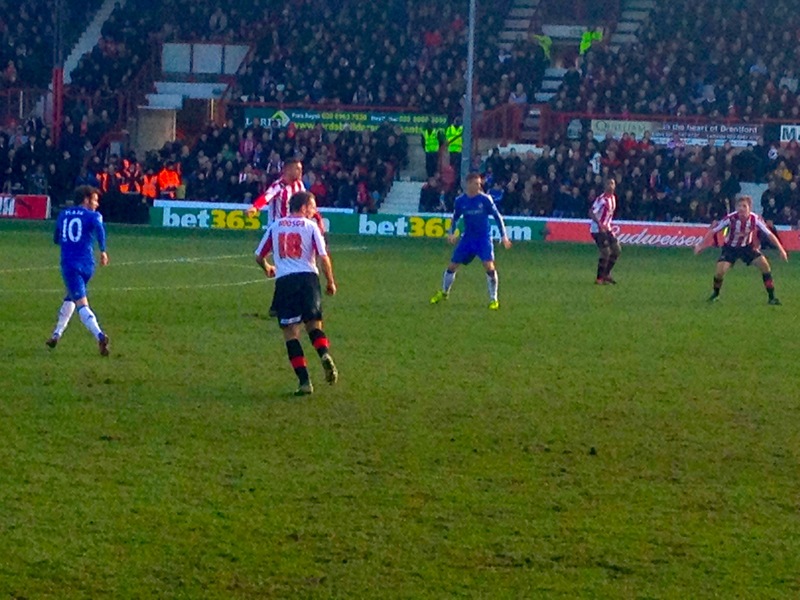 At no stage of the game were Brentford overawed by Chelsea and in reality came close to knocking Chelsea out. A few photos as moments but sadly all I Phone photos and the camera on the phone underwhelms me totally. The only negative might be those who thought it clever to let off flares in a packed terrace.